Premium teas packed in good-looking cans are another desire by our tea enthusiasts like you. 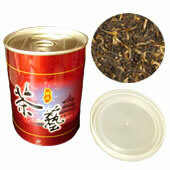 Here we are introducing the following beautiful soda-style canisters with a sealed bag of highest quality of teas. Obviously, those cans are easy to carry with and plus are in position of holding teas longer and keep them fresh. They could wonderful holiday gifts to your colleagues and friends. This is unquestionably one of the finest Jasmine Teas in interesting pearl shapes. The fresh jasmine flowers are picked during the summer day lights and set aside until evening when the petals begin to open. After Tea is enriched with the pleasant fragrance of jasmine flowers during in the cool night air, girls begin rolling each leaf with a bud into tiny pearl size balls. Once rolled, the tea is wrapped in silk mesh and dried by fire to set the form. Dragon Phoenix Pearl gets its name from the visual characteristics of the tea bushes ‘climbing’ the hillsides like a Dragon, and the beautiful young girls, chosen specifically to pluck this type of tea, give the appearance of dancing phoenix’s next to the Dragon’s long slender body. This tea is pleasing not only to the eye but also to the stomach. It unfurls and releases its heavenly scent during its brewing. 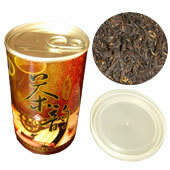 It is one of the finest black tea from the Fujian province of China. There are two interesting legends about the name of this tea: one says those tea bushes grow in lofty and precipitous peaks making them difficult to pluck the leaves so local people trained monkeys to do so; another comes from the leaf unique appearance, which looks like monkey claws. However, the particular tea is hand-processed with a careful plucking of only one leaf and one bud. The dry leaf, comprising to tender young sprouts ('Ya' in Chinese), provides hints as to how the infused tea will smell and taste. Golden Monkey Tea produces ‘golden’ liquor and is very nicely balanced with rich and spicy exotic characters. It can be enjoyed eight hot or iced. 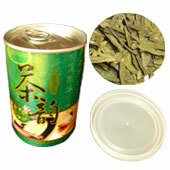 Dragonwell Tea from West Zhejiang province of China, is the most popular and one of China's top 3 green teas. The legend of its name comes from a story in the ancient Chinawhen the farmers of the Hangzhou region had been praying for rain. It has high bud sets and flat, tender, green leaves and is pickled, unfermented, pan-fired and shaped by hand from start to finish in the village of Dragonwell. The firing of the leaf is the step that requires the most finesse. This tea gives a light emerald liquor with a full, round flavor and astounding scent. This careful hand picked, handmade black tea is from the protected Wu Yi Mountains of Fujian, China. A golden color leaf that has been lovingly handmade to release a non-astringent golden liquor that cannot be found in any other tea. 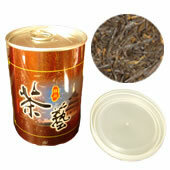 This Organic Golden Needles Tea is slightly piquant with an almost sweet honey-like flavor. It matches the organic standards of USDA national organic program. This tea is originated from near one of the most beautiful scenic places called Huang Mountain, Anhui province in China. (same province as Keemun’s). they are picked with one bud and two leaves. They are shaped like the tips of spears and parts of the stems are yellowish in color. During its processing, each tea leaf is ironed under a piece of cloth and each huge and flat tea leaf leaves noticeably with crisscross pattern on them. This tea is characterized as fully hand-crafted and truly a sensational work of art. While steeping this tea, you will easily find the slow sinking and floating movements, like spears gathering together. The taste is extraordinarily and wonderfully complex. Nutty at first sip and the sweetness of this tea gradually reveals itself as you continue to drink it. The liquor is a bright, clear, pale green and also has a lingering, sweet aftertaste with a hint of flowery overtones. Tai Ping Hou Kui tea has won a lots of global awards since 1915, the most current being the "King of Tea" award in China Tea Exhibition 2004. This tea is Keemun county, Anhui province, China, surrounded by huge mountains. A lot of people call it as the ‘Burgundy’ of black tea. Translated from Chinese, it should be named as the rare Keemun hair point, which is handmade by a special processing technique that produces tightly twisted and curly leaves. It reveals an unique edge ring around the cup, same as Keemun Hao Ya does, with rich tasting, earthy and warm, brilliant red liquor. Roasty notes hidden behind nutty character with a sweet fruity finish could also amazingly be left on your tongue.